With over 20 pop up restaurants at this year’s event there will be plenty to choose from. Be sure not to miss the Carnival by Tresind stall. Inspired by Indian street food, highlights of their Taste of Dubai menu includes ‘vada pav’, inspired by the vegetarian sandwich of Mumbai mill workers and ‘viva la Goa’ (raised beef short ribs, goan vindaloo, mashed potato). Those who enjoy spicy food should also visit the Spice & Ice pop up stall, which will feature a special ‘molecular gastronomy’ counter for festival-goers to indulge in. Seafood lovers should check out Catch who will be serving up crispy rock shrimp and fish tacos. Royal Orchid will also have plenty of delicious Far East treats on their menu, from chicken dumplings topped with tom yam spiced cream to prawn and vegetable pad Thai noodles. Chefs not to miss this year include Gary Rhodes OBE, who will be at the festival on Thursday and Friday, acclaimed chef and MasterChef UK judge Michel Roux Jr, who will be at the festival throughout the three days and Britain’s youngest head chef, Luke Thomas. Popular regional chefs will also be at the festival, including TV presenter and author of “Modern flavours of Arabia” Suzanne Husseini. The full list of chef’s cooking demonstrations. The full list of cookery school classes. 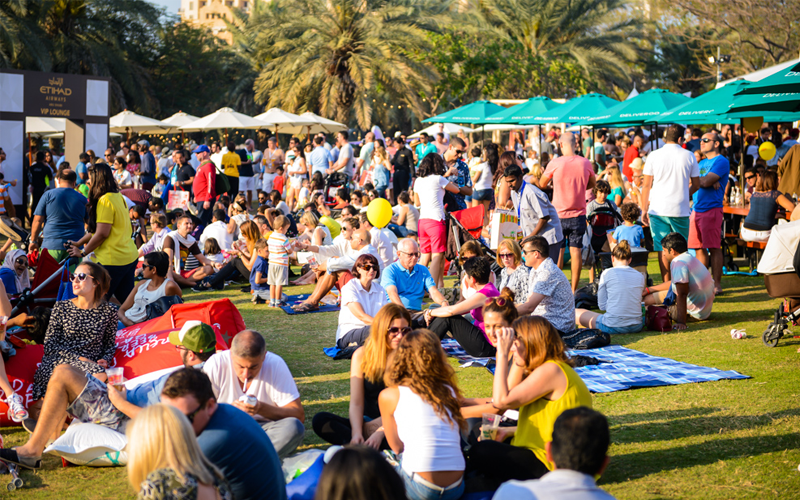 Make sure you visit Taste of Dubai on the Thursday evening if you want to see Billy Ocean – as he’s only headlining on the first night. A regular act at Pacha nightclub, London-based DJ Carlone will be headlining on Friday and Saturday, while local expat bands The Boxtones, The Maplejacks, JukeBox and 4THEMUSIC will be playing during the day, each day over the festival. Kids won’t be left out with My Gym UAE hosting a kids’ zone at the festival. Children will be kept entertained with face painting, puppet shows, storytelling, dance classes, balloon animals, a lucky dip, a piñata and plenty more.